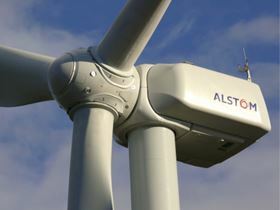 The Alstom ECO 100 wind turbine. Alstom will install 69 of its ECO 100 wind turbines, each with an output of 3 MW, and 6 of its ECO 74 wind turbines, each with an output of 1.67 MW. The wind farm extension is expected to be fully operational in May 2012. The contract includes supply, transportation, installation, commissioning, and operation & maintenance. “This order represents a major technological milestone, while strengthening our relationship with SPR and, of course, with Iberdrola Renovables, for whom Alstom has installed 6 wind farm projects in Europe totalling 185 MW,” says Alfonso Faubel, Vice President of Alstom Wind. Additionally, Alstom and Iberdrola Renovables have reached an agreement to install 100 MW of wind power in Spain – consisting of 60 ECO 80 wind turbines, each with an output of 1.67 MW in 2011, and a further 49 MW – consisting of 29 ECO 80 machines with an output of 1.67 MW in 2012.